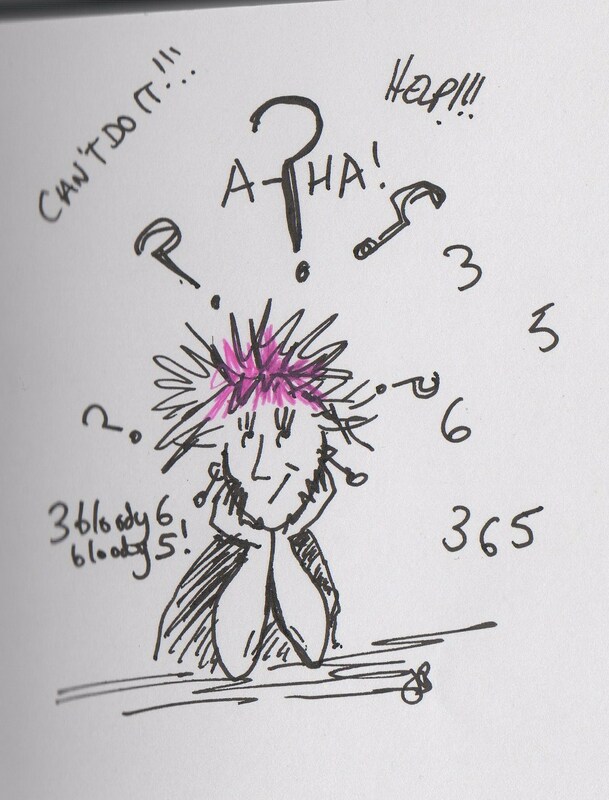 365 Project – a new plan! Yes, I know the idea is to blog about the same thing for a year but, seriously, a year of motivation posts? If I haven’t bored everyone to death by March I think I will have lost the will to live anyway….there is only so much you can write about motivation. So, true to form, I’m giving up! Well, I’m not actually giving up, I’m just adapting the challenge to suit me. I have decided to stick to one theme per month, January being the month of motivation and February being the month of whatever it is I decide it will be about and so on…. I think I can cope with that, there will still be some structure to it and it should hopefully be a little bit more interesting than a whole year of me trying to find something interesting to say about motivation. Does this sound like the ramblings of a de-motivated person? Not at all. In fact, I am INSPIRED!!! Now, the question is, can I still be in the 365 project??? 2. Despite the above, I sometimes find it very hard to motivate myself. This blog is an example of where I have flagged and lost some of my drive to write. The 365 project inspired me to try and stick at something for a whole year so, what better topic to write about than motivation? I’m hoping it will inspire me to keep up with my blog! 3. I am trying very hard to become fitter and healthier this year. I am hoping a daily reminder to stay motivated will encourage me to keep at it! 5. I can get away with writing a post saying very little if I can’t be arsed and say I just didn’t have the motivation that day! The perfect get out!! If you are intrigued by what I might write about over the coming months, well so am I! I have no idea where this will take me but I hope it will be a bit of a voyage of discovery for me and possibly for my readers!! I don’t know why really but I have just not been blogging for a while now. It started well and I thought I had found my new blog home. But, for whatever reason, I stopped…..writers block, maybe? Anyway, I logged in to WordPress the other day to see the new challenge for 2012- Project365 – the idea being to pick a topic or idea and blog about it for a year. There are some brilliant ideas that others have chosen but a whole year is a long time for one topic! So, my New Year Resolution for 2012 is to try and find something to write about and DAMN WELL WRITE ABOUT IT!!! Best hurry up though…it’s the 1st tomorrow….and I still don’t have any ideas! Although I am working on it!